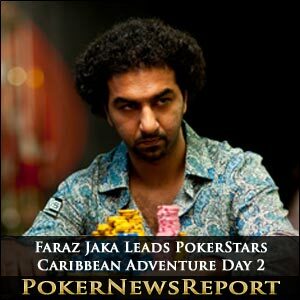 Day 2 of the $10,000 buy-in main event at the PokerStars Caribbean Adventure (PCA) was all about Faraz Jaka as the American pro dominated to take a commanding chip lead over his nearest rivals. The San Jose native, who has 11 World Series of Poker (WSOP) cashes, accumulated a chip stack of 902,500 to sit almost 350,000 ahead of second placed Romanian Cristian Folescu (555,500) and close to 400,000 above Canadian Erik Cajelais (528,000). American Connor Drinan, who starts Day 3 with 436,000, and Russian Alex Kuzmin (425,500) completed the top five places, while German Jens Patzner (423,000), Canadian Phil D’Auteuil (413,500), Dutch duo Ruben Visser (372,000) and Robin Van Gils (360,500) and American Brian England (354,000) filled spots six to 10. The starting field of 1,072 – compiled from the 418 players who entered Day 1a and the 654 registered for Day 1b – had been cut sown to 544 survivors heading into Day 2 at Paradise Island’s Atlantis Resort and Casino. However, at the end of another six levels – which took us to 15 in total – just 183 players remain in contention for the $2 million top prize, with one-time World Poker Tour (WPT) Player of the Year Jaka leading the way. The 26-year-old started Day 2 on 129,500 chips, but swiftly moved to the top of the leaderboard during the day’s opening level to sit on approximately 700,000. Los Angeles-based Chino Rheem, with around 300,000 in chips, joined Jaka’s table not long after the chip leader had taken over at the top and was unfortunate to be seated to the dominant American’s left. Essentially, the one-time WPT champion could not have found himself in a worse position in this event – and in under two hours had lost the majority of his chips to Jaka. Having demolished Rheem’s chip stack, Jaka continued his charge by eliminating his fellow American. Rheem – who finished in seventh place at the main event of the 2008 WSOP for an impressive $1,772,650 – just couldn’t better his opponent as the aggressive Jaka bet at every opportunity on a board of K♠ J♠ 6♦ 4♦ A♦. Jaka eventually popped 100,000 into the pot on the river, only for Rheem to make the call. However, the latter couldn’t best the A♥ K♣ of Jaka and was eliminated soon after. Jaka completed Rheem’s demise when the latter, who was under the gun, placed his remaining 15,000 chips in while holding A♣ 9♣. Now in the big blind, Jaka called with A♥ J♥ to be in a dominant position and ultimately completed his job on Rheem on a board of A♠ J♠ 2♠ K♣ Q♣. However, Jaka was in no mood to slow down and increased his huge stack by another 50,000 in the very next hand when his sent another opponent to the rail. While he did lose some chips in the sixth and final level of the day, Jaka is still way ahead of the chasing pack. Drinan, of Illinois, had started the day with a healthy stack of 142,700 sit in fourth place, but quickly saw that chopped back to approximately 50,000. However, a double elimination – which saw Triple Crown winner Bertrand ‘ElkY’ Grospellier, of France, and Alabama’s Hoyt Corkins hit the rail – took Drinan back into contention so that he ended the day as he had started, in fourth spot on the leaderboard. With a board of Q♦ 7♠ 7♥ 6♥ and Grospellier by now all-in, Drinan check-called Corkins’ bet. The 9♠ arrived on the river and once again Drinan checked to induce an all-in bet from Corkins. Drinan quickly called to table Q♣ Q♠, beating the aces of Corkins and Grospellier’s starting hand to rocket up the leaderboard, where he remained for the rest of Day 2. However, some other big-name pros hit the rail on Day 2, including Team PokerStars Pros Marcel Luske, Vanessa Selbst, Ana Marquez, Alex Kravchenko, Victor Ramdin, Angel Guillen, Lex Veldhuis, Toni Judet, Jude Ainsworth, Humberto Brenes, Ville Wahlbeck, Greg DeBora, Ivan Demidov, Angel Guillen and Dario Minieri, as well as PokerStars SportsStar Boris Becker. Other well-known faces eliminated last night included David Vamplew, Kevin MacPhee, Sean Getzwiller, Will ‘The Thrill’ Failla, Tom Marchese, JP Kelly, Michael Mizrachi, Jacob Bazeley, John Racener, Matt Waxman, Jon Turner and Christian Harder. But today will still see some classy pros return, including 2010 PCA main event winner Harrison Gimbel (259,000) and 2011 champion Galen Hall (192,500), as well as Team PokerStars Pros Liv Boeree (90,500), Gualter Salles (122,000), Noah Boeken (97,000), Pat Pezzin (64,000), Joao Nunes (202,000), Christian De Leon (144,000), Arnaud ‘The New ElkY’ Mattern (340,500), Barry Greenstein (102,000), Leo Fernandez (324,000), Juan Manuel Pastor (87,500) and Luca Pagano (280,000). 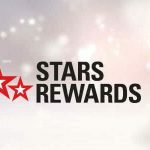 Additionally, Team PokerStars Online players Randy Lew (146,500), Shane Schleger (137,000) and Anders Berg (55,000) are still in and will be aiming to move up the rankings today. Also surviving Day 2 were Barry Shulman (150,500), Carlos Mortensen (164,500), Shawn Buchanan (131,500), Andrew Lichtenberger (113,500) and Yevgeniy Timoshenko (107,000). No less than 160 players will make the money, so expect the bubble to burst fairly early today. The runner-up will receive $1,275,000, while $755,000 will go to third place. 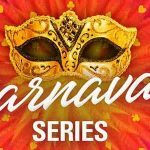 Fourth place will pick up $600,000, fifth gets $468,000, sixth will be awarded $364,000, $260,000 has been earmarked for seventh, and $156,400 has been set aside for eighth. Thereafter, places nine and 10 will leave the event with $101,000, with even $15,000 going to places 137 to 160.